OROMIA’s MINERAL WEALTH: A BLESSING OR A CURSE? Oromia is considered one of the richest region of the horn of Africa in view of the fact that the regions abundant natural resource, livestock and agriculture. We as an African are familiar with statement “Africa is poor, but we can try to help its people” repeated through hundreds of images, newspaper, and charity appeals each year. Africa is rich but they still our wealth. That’s the essence of a report (PDF) from several campaign group released on 24 may 2017. Based on the same report, Sub-Saharan Africa is a net creditor to the rest of the world by yielding more than $41 Billion. It is Evident that around $161 Billion going in each year in the form of loan, remittance (diaspora sending money back home) and Aid. But there is also $203 billion leaving the continent each year. Some of this is direct, multinational corporation steal around $68 billion legally by avoiding taxes; pretending they are generating their wealth in tax havens and they also send back to their country $30 billion off of the profit they make in Africa. Oromia as a region shares the same story with the rest of the country in the continent. MIDROC (Mohammed International Development Research and Organization Companies) consisting of over 74 companies that are engaged in multifaceted business sectors are established and owned by Saudi billionaire Sheik Mohammed Hussein Ali AL-Amoudi. MIDROC- Gold Mine Plc one of 21 subsidiaries of MIDROC Ethiopia was established in the late 1990 by Al-Amoudi and his wife Sofia Salah Al-Amoudi by contributing 98% of the share and the remaining 2% of the share is owned by government through the then Ministry of Finance and Economic Development. In 1997 with $ 172 million the company took a 20 year concession with a license name ‘Midroc Lege Dembi Mining’- the largest gold producer in the country located in Guji zone, Oromia. According to MIDROC Groups’ website, Lege Dembi Open Pit Mine has an annual production of 4.5 tons of gold. In 2013 the company obtained total revenue of $1,255,288,269 (Birr 17,248,679,493) from the sale of gold and silver. 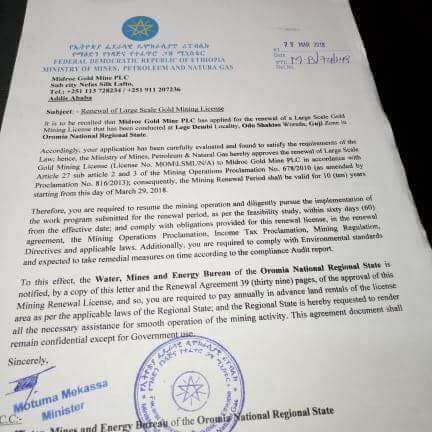 Despite the local residents’ protest and submission of petitions to local government, the second license for large scale mining was given to Al-Amoudi’s company under the name Sakaro Mine in 2009, overall production of gold for Sakaro Mine is estimated to be 17.5 tones. An investigative report by BBC Amharic Guji Zone Odo Shakiso area included interviews with residents affected by chemical hazards released from the gold mine also revealed that livestocks drinking from downstream rivers are facing miscarriage and death from poisoning. Extreme headache, blindness and birth defects are common in Guji area possibly because of cyanide released from MIDROC gold mine in Lege Dembi and Sakaro. The report says women hide their pregnancy to avoid the stigma associated with birth defect till they find their child born in full health. Usually open pit mining is associated with soil erosion to reduce the impact company go for underground mining. 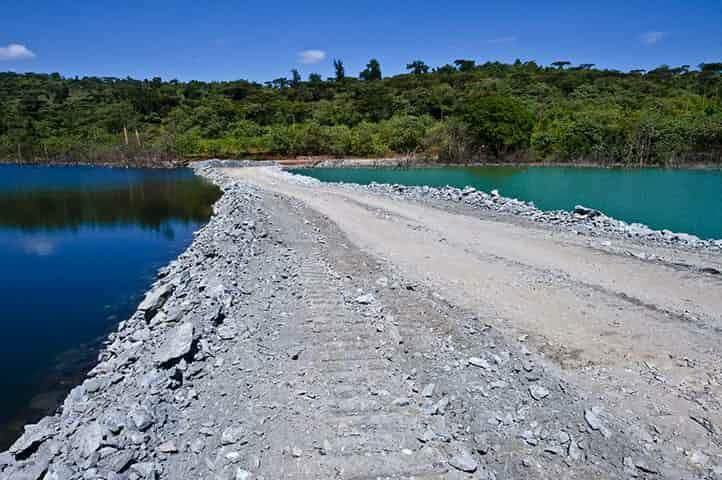 The Lege Dembi open pit mining soil is highly eroded, deforestation as a result of mining area diversification, exploration and forest logging done to increase available storage rooms for created debris and soil. 3. Lethally polluted lakes, acidic water that kill animals and contamination of ground water supply. As a matter of good business practice, mining operation which is carried out with responsibly has the potential to provide economic benefit to all investors, stakeholders and the local community. In case of MIDROC the entire community that owned the land is neglected and maltreated, the regional government is ignored and even they are not allowed to enter in mining area for inspection. There is no infrastructure development, hospital and no job is provided for the local community. Shakiso town which was founded in 1944 and home for Lege Dembi and Sakaro mine does not have a proper asphalt road but instead paved dirty road that connects the town with Dawa, Bule Hora and other neighboring towns. The 2012 World Bank report on “diagnosing corruption in Ethiopia” (PDF) points out the three major areas of corruption risk in the mining sector. 5.3. Mining revenue:- Mining companies may deliberately understate output and profit and overstate costs to reduce royalties and profit taxes. Beginning in December 2009, residents of Shakiso woreda accused Lege Dembi mine of releasing toxic chemical waste into a nearby river, causing illness to people and animals in the area. Several local experts found evidence of dangerously high mercury levels in the water. On December 3, 2009 students from Shakiso town submitted a petition to woreda officials detailing the adverse effect of noxious chemicals released by the gold mine on the health of community. They further protested that the mine owners harvested gold from their land, but did not invested in the development of the community. Most of the mine employees are brought in from other regions while employment from local community is minimal. World Bank report, 2012. Diagnosing Corruption in Ethiopia: perception, realities and the way forward for key sectors in Ethiopia. Editor Janelle Plummer. Previous Post እነዚህ “ትምህርት ቤቶች” ወይስ “ፍርስራሽ ቤቶች”? 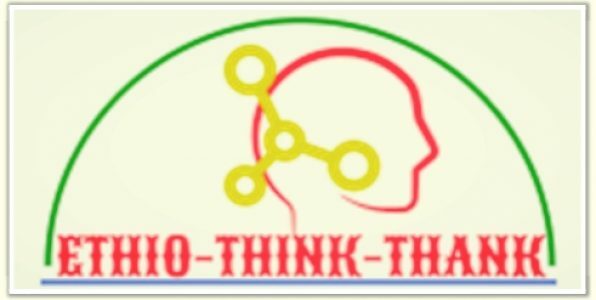 Next Post ከሰው እና ከወርቅ የቱ ይበልጣል?